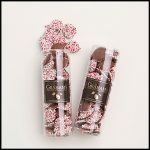 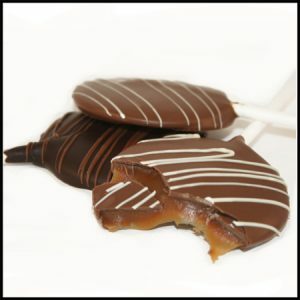 Our Chocolate Caramel Pops are the perfect, no-mess treat for all caramel lovers! Our wonderful homemade caramel, dipped in our exquisite milk or dark chocolate, this delicious treat comes cello-bagged with seasonal ribbon. 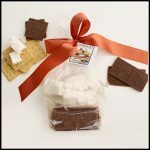 Perfect for Birthdays, Celebrations, & almost any other occasion we can think of! 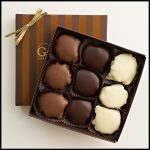 They are absolutely delicious, and now available online! 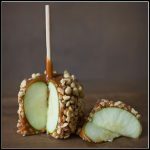 You have got to try these!